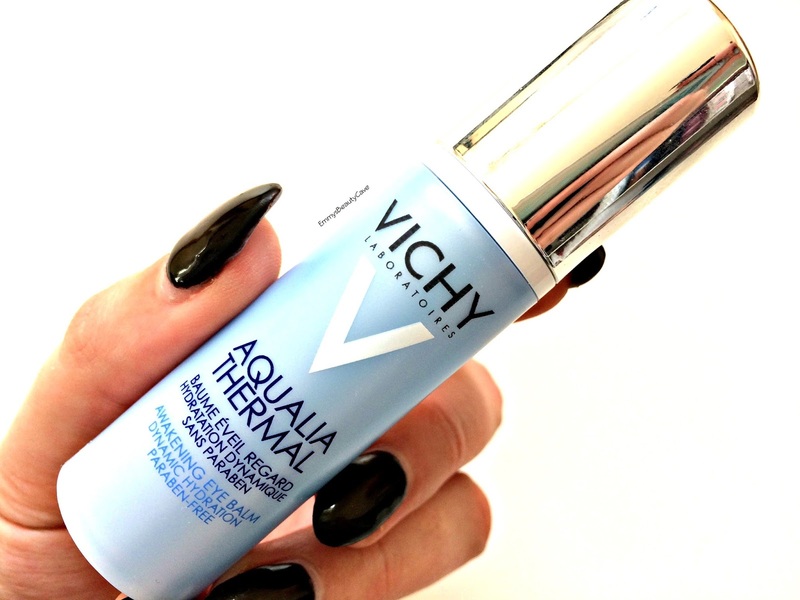 It is no secret how much I love Vichy products from the skincare to the makeup I have fallen in love with so many products especially the Aqualia Thermal Face Serum so when I received the Aqualia Thermal Eye Serum I was so excited. Eye serums are something I only started using within the last year. I never really thought they would make a difference but they really do when you find the one that works for you. I have tried some but alot end up drying out my under eyes which then make my makeup look horrendous. The Aqualia Thermal Facial Serum is one of my holy grail products especially in Winter. The eye serum comes in such a cute tube which contains 15ml and it has a pump. When I first pumped the serum I was surprised to see it was blue! If anyone has used the Benefit Matte Rescue it is a similar colour to that. Once you apply it onto your skin it goes clear so don't worry you won't end up with blue skin! As soon as I applied this under my eyes it has such a silky texture and blended into my skin like a dream. I found you only need the smallest amount as a little does really go a long way. I apply it under my eyes in a patting motion then slightly pat it into the corner of my eyes and onto my lids. I instantly felt a cool feeling and I felt awake. The "awakening" aspect of this serum is 100% correct, it really does make you feel more awake. I apply this morning and night, when I apply it in the morning I wash my face and apply moisturiser and this serum under my eyes and leave it around 10 minutes. I do this with any skincare as I like it to sink into my skin fully before applying any makeup products. After 10 minutes my under eyes look fresher, less puffy and my dark circles are not as dark. The smoothness under my eyes is unreal, makeup applies wonderfully and looks flawless. Since using this eye serum I find my concealer looks flawless under my eyes and doesn't crease as much. I am already on my fourth bottle of the Vichy Aqualia Thermal Facial Serum and I can honestly say I will be buying the Vichy Aqualia Thermal Eye Serum as soon as I run out! The serum retails for £15.00 but you can more often than not get it from Escentual's Website on offer.